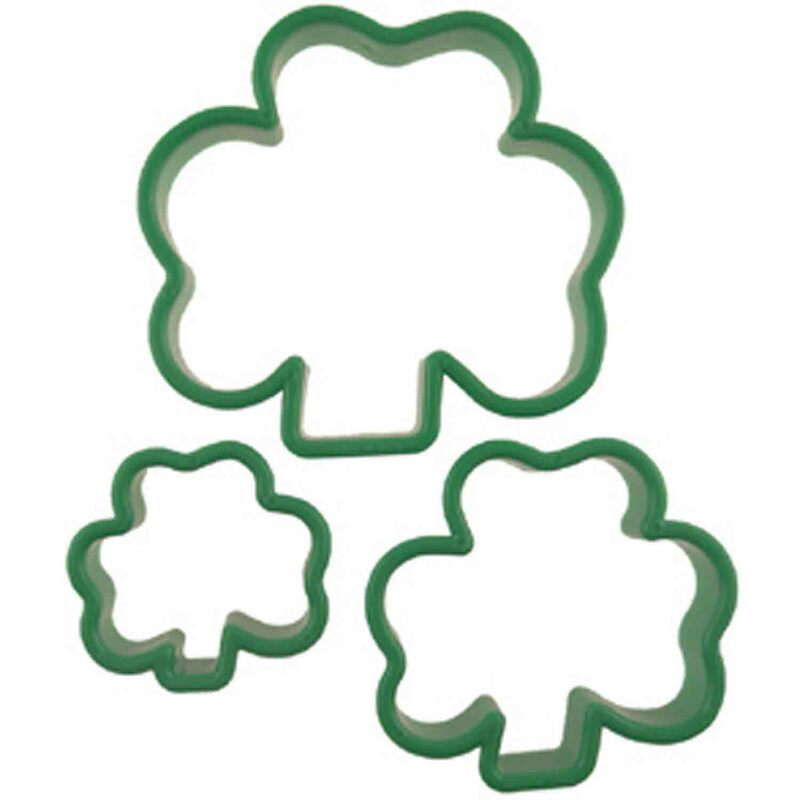 Shamrock: 1½" wide x 1½" long x ¼" deep Use rings to decorate cupcakes, cakes, and other treats. 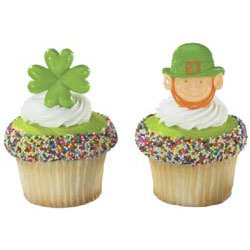 Each package includes an assortment of shamrock and leprechaun rings. Plastic. Use rings to decorate cupcakes, cakes, and other treats. 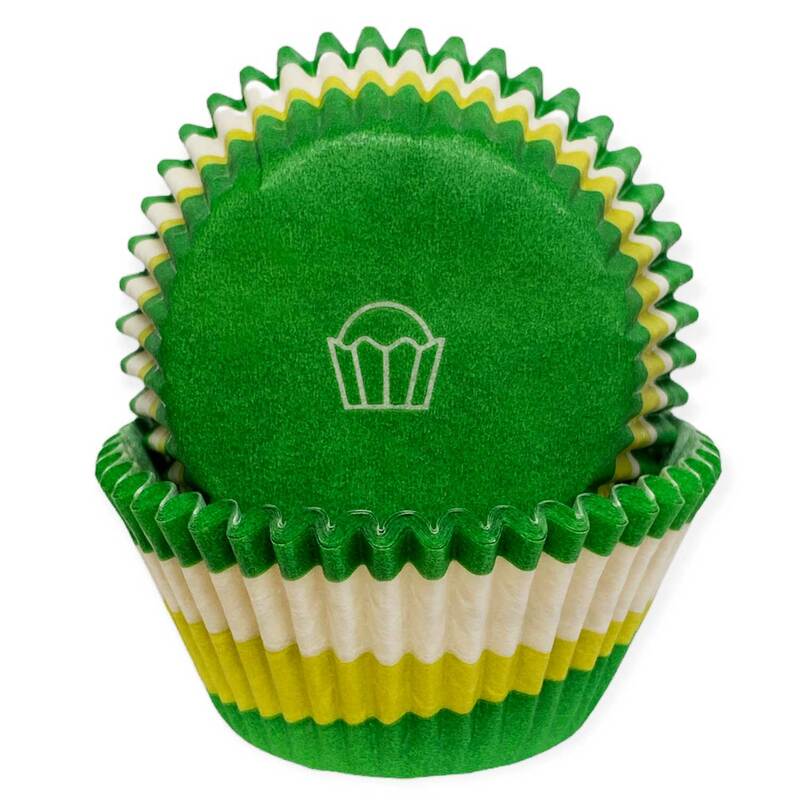 Each package includes an assortment of shamrock and leprechaun rings. Plastic.